Use your writing and technical skills to improve the documentation of our open source solutions. In this role, you will join a team that promotes customer loyalty and success through content development and delivery. Hat solutions, which will be made available online through the Red Hat Customer Portal. Work closely with content strategists, engineering project teams, and other stakeholders to produce and maintain high-quality documentation for upcoming Red Hat product releases. Engage and collaborate with the closed loop customer feedback program to address content gaps, act on direct customer feedback, and promote continuous improvement on the documentation experience. specialty groups from the Support Delivery team. Effectively manage documentation projects and deliver customer-focused documentation. Bachelor's degree in IT, computer science, or an arts or language field is preferred. Fluent verbal and written English communication skills. 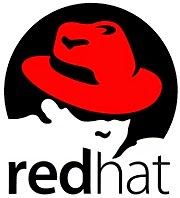 Familiarity with Red Hat solutions or related industry offerings, e.g. Linux, middleware, storage, cloud, or virtualization technologies. Ability to read, write, and compile technical documents, including feature descriptions, customer use cases, and release notes. 0 on: "Fresher :: Red Hat Hiring For Technical Writer in Pune"